That day at the office on Saturday Night and Sunday Morning offers a rousing blend of Stuart originals, classic covers and traditional hymns and that throw their arms around the whole history of not only country but modern American music. Kicking off with the revved-up rockabilly rush of “Jailhouse” and “Geraldine,” disc one winds through Stuart’s grand “When It Comes To Loving You” and the honky tonker “Talking To The Wall” through deeply soulful covers of Charlie Rich's “Life Has Its Little Ups And Downs” and George Jones' “Old Old House” before wrapping up with the positively frantic blues rocket ride of “Streamline.” Disc two trades sawdust for sermons, and goes right to the river with the gorgeous “Uncloudy Day,” featuring not only the legendary Mavis Staples on lead vocals, but Marty playing a guitar that the Staples family bequeathed him that once belonged to Pops Staples. The Fabulous Superlatives shine with their celebratory group harmony singing on standouts like “That Gospel Music,” “Angels Rock Me To Sleep” and “Mercy #1,” while uptempo rockers like “Keep On the Firing Line” and “Good News” build the service to a big hands-to-heaven call and response finish with “Cathedral,” featuring the mighty soul shouts of Pastor Evelyn Hubbard. 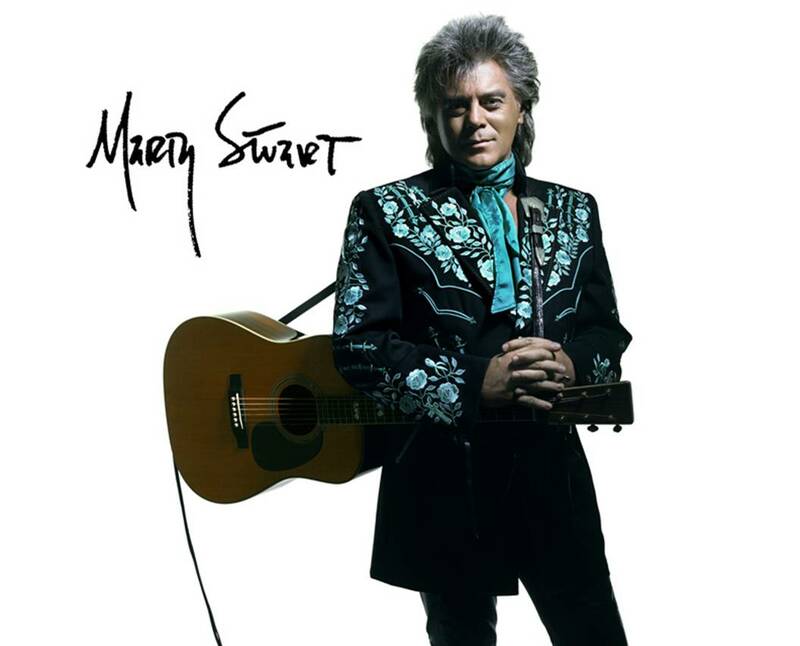 Born in the small town of Philadelphia, Mississippi, Marty Stuart caught the music bug early, displaying prodigious talent on every stringed instrument he picked up. At an age when most kids are running bases in little league, 13-year old Stuart was logging cross-country interstate miles as a mandolinist with the legendary Lester Flatt's road band. In his twenties, Stuart toured with Johnny Cash, and also played with other legends such as Bill Monroe, Jerry Lee Lewis and Carl Perkins. By the late 1980s, Stuart was a solo artist, rising faster than mercury in the heat of a hillbilly fever. But amidst the hits and hoopla, the bright lights eventually revealed a deeper truth. Stuart knew he didn't want to travel this new path alone, so he recruited fellow musical missionaries Kenny Vaughan, Harry Stinson and Paul Martin. All of Stuart's immersion in authentic country music has also found creative expression through the lens of a camera. Inspired by the photographs of jazz drummer Milt Hinton of his fellow musicians, Stuart realized in the early 1970s that he could fill a similar role as a chronicler. And for decades, he's been capturing strikingly beautiful images of performers and fans that feel like little windows into the soul of our country. A collection of his most resonant photos is currently on display in an exhibit called American Ballads at Nashville's Frist Museum (also a new coffee table book published by Vanderbilt University Press), and later this year, a second exhibit of his work called The Art of Country Music will open at the Sheldon Gallery in St. Louis. Of his photography, Stuart says, “Whether it was the doorman at the Opry, or Ernest Tubb's bus driver, or stars or songwriters or musicians, everybody stood still for me and let me take pictures. I'd aim to capture what they all meant to me. It was basically like taking pictures of my family. It takes a tribe to raise a kid, and they were my tribe. All of those people invested something in me when I was a kid, and I wanted to remember that kindness. The thing about that era of those old masters is that most of them were really country people. They were down to earth. Basically, farm people who'd come to town and got a job singing songs. That's what I related to, coming from Mississippi. The other side of it, I wanted to take pictures of my life on the road to send home to my family and they could see what I what I was up to. It was basically documenting family. With Saturday Night and Sunday Morning set for an autumn release, and more touring ahead for the Superlatives, Stuart says his expectations are high, but grounded in reality.